Were the microbes carried by space dust? Russian cosmonaut, Anton Shkaplerov says he found bacteria clinging to the external surface of the International Space Station that didn't come from the surface of Earth. According to the Russian news agency TASS, scientists have found living bacteria from outer space on the surface of the Russian segment of the International Space Station (ISS). They are being studied on Earth but most likely they don’t pose any sort of danger, Shkaplerov told TASS on Monday. Just last week, scientists reported that cosmic dust could theoretically eject microbes floating high up in a world's atmosphere out into space, potentially sending the creatures on a trip to another planet — perhaps even one orbiting a different star, or a space station of Planet Earth. "The proposition that space-dust collisions could propel organisms over enormous distances between planets raises some exciting prospects of how life and the atmospheres of planets originated," study author Arjun Berera, with the School of Physics and Astronomy at the University of Edinburgh in Scotland, said in a statement. "The streaming of fast space dust is found throughout planetary systems and could be a common factor in proliferating life." NASA scientists have demonstrated that some organisms — such as certain bacteria, and micro-animals known as tardigrades can survive up to millenia in space. According to the Shkaplerov, during spacewalks from the International Space Station under the Russian program, the cosmonauts took samples with cotton swabs from the station’s external surface. In particular, they took probes from places where the accumulation of fuel wastes were discharged during the engines’ operation or at places where the station’s surface is more obscure. After that, the samples were sent back to Earth. "And now it turns out that somehow these swabs reveal bacteria that were absent during the launch of the ISS module. That is, they have come from outer space and settled along the external surface. They are being studied so far and it seems that they pose no danger," Shkaplerov said. 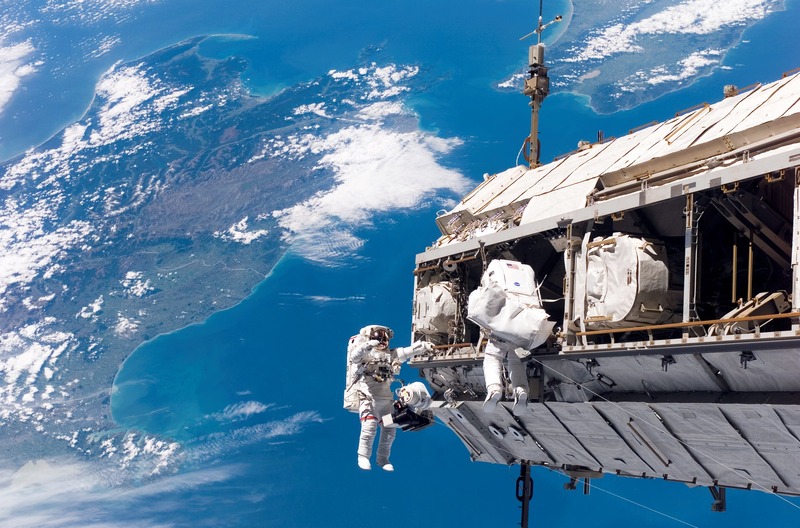 Some terrestrial bacteria also survived on the space station’s external surface, though they had remained within a space vacuum for three years. In addition to that, they underwent sharp swings in temperature from minus 150 to plus 150 degrees Celsius, he noted. "And now it turns out that somehow these swabs reveal bacteria that were absent during the launch of the ISS module," Shkaplerov told Tass. "That is, they have come from outer space and settled along the external surface. They are being studied so far and it seems that they pose no danger." The bacteria were brought to the space station accidentally on tablet PCs together with various materials that are placed aboard the ISS for long periods to study the materials’ behavior in outer space. The cosmonaut is preparing for his third trip to the ISS as the head of the space station’s new crew, which is set to take off to the world’s sole orbiter on December 17. The collection of life forms from the outside of the ISS during one of his previous trips was something of a mini controversy a few years back when Russian scientists reported that spacewalk sample harvests yielded evidence of apparent sea plankton clinging to the station. The claims caught NASA by surprise at the time, which said it had heard nothing from the Russians about any space plankton. NASA has also yet to break radio silence about the extraterrestrial bacteria.